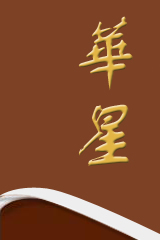 (W.Roast Pork Fried Rice)(or Ask For White Rice) Free Soup or Soda or Egg Roll 11:00am to 3:30pm. Spare Ribs,Chicken Stick,Egg Roll,Crab Stick,Fried scallop,Wing,Shrimp Toast. Slightly fried boneless chicken in a gingery,sweet & sour sauce. Chunks of batter-fried chicken,coated in chef's sauce,sprinkles w.roast sesame sauce. 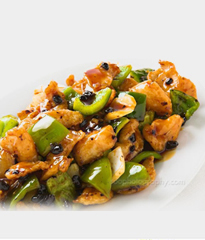 Chunks of tender chicken w. hot pepper sauce,w. touch of Mandarin orange peel flavor. Chunks of tender beef steak w. hot pepper sauce w. touch of Mandarin orange peel flavor. Chunks of tender beef steak,lightly batter fried w.coasted w. Chef's sauce,sprinkle w.roasted sesame seeds. 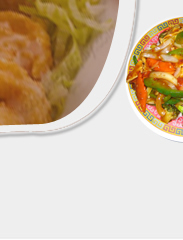 Jumbo Shrimp w.vegetable in special tangy sauce & General Tso's chicken. Slices of white chicken,roast pork,jumbo shrimp and beef,lobster meat & harm combined w.mixed veg. served w.delicious sauce made specially by our chef. Jumbo shrimps,scallop & Crab meat & lobster meat w.mixed vegetable in white rice. Large shrimp deep fried w.light lotus flour,coated w. tangerine spicy sauce. 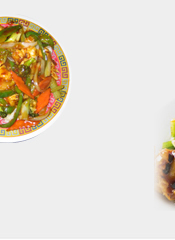 Shrimp,chicken,beef & roast pork blender in our delicious brown sauce w.mixed vegetables. Large shrimp,scallop,crab meat & lobster meat w. mixed vegetable in garlic sauce. Chicken,jumbo shrimp,beef w. fresh veg. Selected jumbo shrimps,cut and sliced with batter adn fried crispy,then blended with sesame seds. Jumbo shrimps sauteed w.filet steak and Chinese vegetable in chef's special sauce. Fresh sea scallops and tender steak with assorted vegetables,served with Chef's special sauce. Jumbo shrimp battered lightly w.egg white sauteed w. assorted veg.a delightly light creation. Slightly fried boneless chicken in special sauce w.fresh broccoli. Copyright (c) China Star 2010 , All Right Reserved.